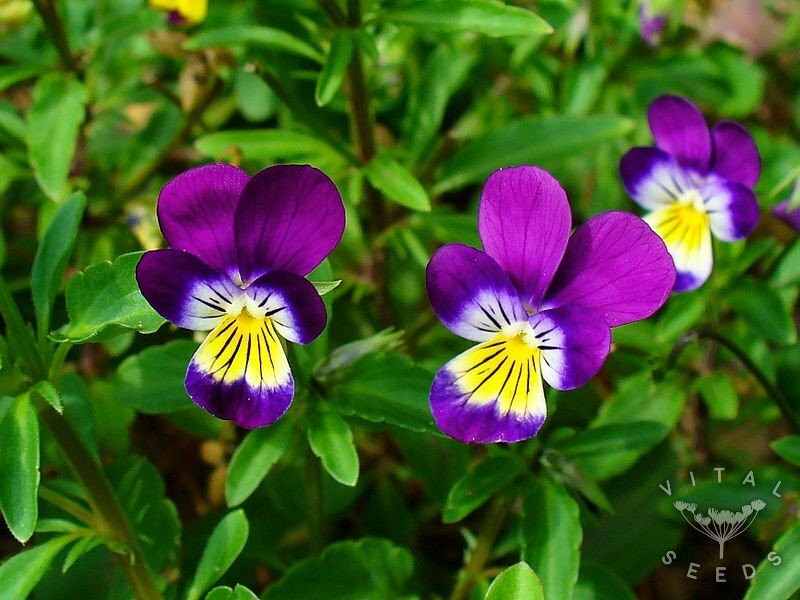 An old-time favourite with small violet, yellow and white coloured pansy-like blooms.. Viola tricolour, wild pansy or heartsease, as they’re also called, are small plants flowering throughout the season from April to September; they’re hardy, frost tolerant and self-seed easily. It is a delightful perennial that grows well in shady areas, beds, containers, rock gardens, edges, even walls and makes a beautiful cut flower. It’s not just a charming beauty for looks, it is also edible, making the most beautiful garnish or addition to salads with medicinal properties.